Samantha Brett is an author, news reporter/ presenter and columnist. 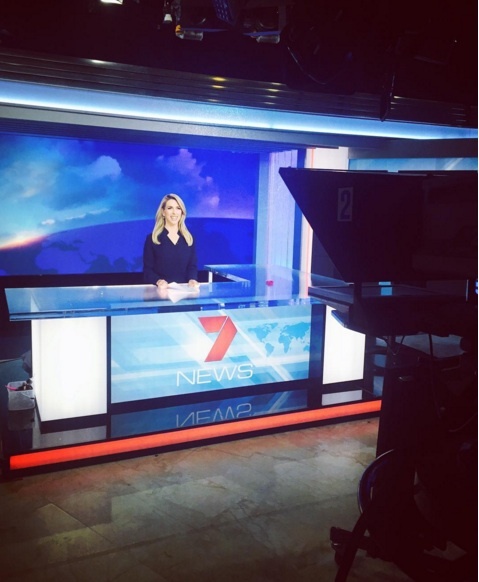 She currently works at 7 News Sydney & Sunrise, presents national bulletins and covers court and crime. Samantha started her career in New York at the Fox News Channel, before going on to report for CNN, CBS & Sky News. Early on in her career, Samantha Brett used her experience in New York to start Australia's first news online interactive column, writing Australia's mostly widely read column for the Sydney Morning Herald. The daily column went on to attract more than 100,000 readers a day, thousands of comments and sat on top of the country's most-read blog leader board for six years. During this time Samantha wrote six bestselling books, thousands of articles and lent her time to a number of charities and public speaking roles, before returning to her news roots by moving to the country. Samantha became a reporter for Prime7 News before moving around the state reporting on politics, crime and major world events for Sky News and filing stories for CNN Asia, CNN America, and CBS in New York. Samantha is currently a news reporter / presenter with the Seven News Network in Sydney. Samantha has filed news reports on major world events including the terror attack in Bangkok, the Aurora Australis rescue of the stranded Antarctica expedition, and the jailing of an Australian Greenpeace activist in Russia. In her spare time, Samantha continues to write books aimed at empowering women. Her most recent book is "The Game Changers: Success Secrets of 40 Women At The Top" has made headlines worldwide in over 100 publications, and has been featured on Good Morning America, 20/20 and Fox News. Portion of the proceeds from the book goes to The Pink Hope Foundation.